I remember the first time I used a chainsaw – it wasn’t mine; it was a family member’s. They read me the riot act before they let me use the machine and went over every safety feature to make sure I understood how dangerous a chainsaw can be if not used properly. They also walked me through about 1000 different things I needed to do to make sure it kept running properly – at the time it seemed like more trouble than it was worth. Chainsaws have come a long way since those days and they now include many extra features that make your life a lot easier. In this article we take a closer look at some of those extra features and how they can benefit you. Things such as automatic chain oilers, tool-less chain adjustment, bucking spikes, and primer bulbs can make your operation of a chainsaw a lot simpler. Below we take a closer look at what these features actually do and explain their advantages. One of my all-time favorite features on modern chainsaws is the inclusion of automatic chain oilers. Without them, using a chainsaw would be a very tedious process that required continuous pauses to make sure the chain is properly oiled. 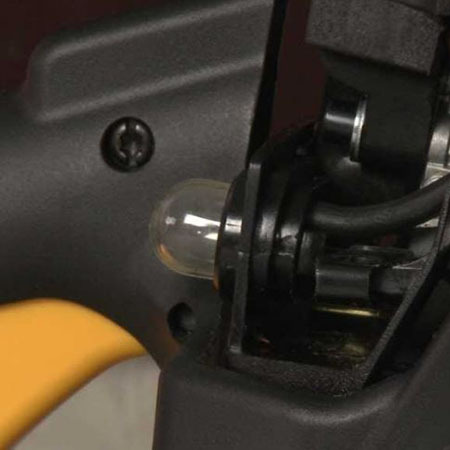 The automatic chain oiler actually releases oil onto your chain blade from time to time to make sure that there isn’t too much friction built up as you cut through a piece of wood. Excessive friction can damage your chain and ruin your chainsaw; it can also result in an uneven cut and might even present a safety hazard. For our forefathers, using early chainsaws must’ve been a bit of a chore without such a basic feature. Fortunately, we’re a lot luckier these days, so if a chainsaw you’re considering purchasing doesn’t mention an automatic chain oiler, keep looking. If you use your chainsaw on a fairly regular basis you’re going to have to put up with a little bit of wear and tear. It’s an inevitable fact of life when you’re using any type of power tool equipment. One of the main issues you’ll face after using a chainsaw for a few different cutting sessions is that the chain will eventually start to feel a little bit loose. In the past this meant digging out your toolbox and carefully unscrewing the chain cover so that you could get at the chain to tighten it. These days the whole process has been made more automatic with the use of a tool-less chainsaw adjustment feature. In most cases this features a crankshaft that you simply turn to tighten the chain without ever having to pull out that trusted toolbox. It definitely makes your life a lot easier than it would’ve been for your grandfather. A very simple feature that most chainsaw manufacturers don’t advertise, but almost all of them do include, is something referred to as bucking spikes. These are little spikes that are located at the front housing of your chainsaw next to your blade bar. The idea is that the spikes will grab into the log as the chainsaw cuts, creating better purchase and helping to prevent kickback. It makes it easier for the operator to maintain control as they’re cutting. 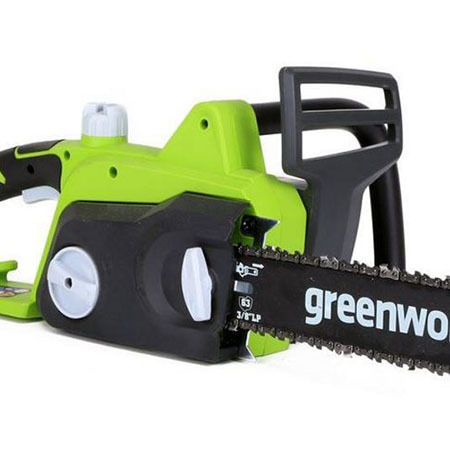 There aren’t very many chainsaws that don’t include this feature and if you do come across one that doesn’t have bucking spikes you should quickly cross it off your shopping list. Primer bulbs are found on just about any small engine power tool on the market today. Their purpose is to make sure that extra fuel is injected into the carburetor when you attempt to start your chainsaw. 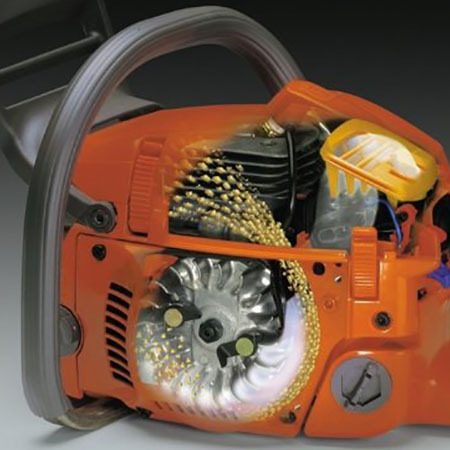 Before primer bulbs became a common feature, starting a small engine such as the ones found on a chainsaw could be a difficult proposition. These days, with primer bulb features built-in, most gasoline-powered chainsaws will start with the first pull every time. While not all manufacturers emphasize the fact that their machines include primer bulbs, it would be unusual if they didn’t provide them. Chainsaws are powerful cutting tools that are quite a bit more complicated than most people probably recognize. They have a ton of built-in safety features along with all the extra features that we’ve mentioned above. While a chainsaw might operate fairly well for a time without things such as automatic chain oilers and tool-less chain adjustment mechanisms, after a while you would definitely notice the difference. 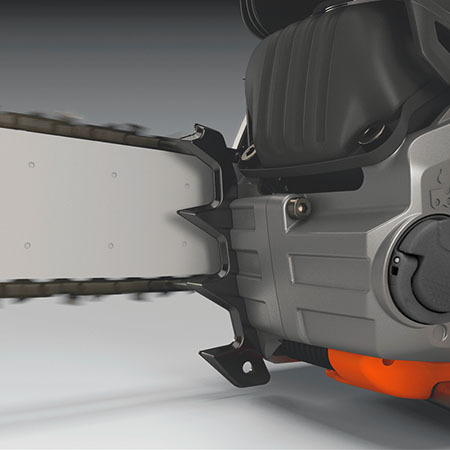 These are great extra features that you should consider essential when you’re purchasing a chainsaw. Fortunately, you shouldn’t have to look too hard, as all of these features have become standard issue on most modern chainsaws.